Washington, DC features the infrastructure of a major, cosmopolitan, interconnected urban city. 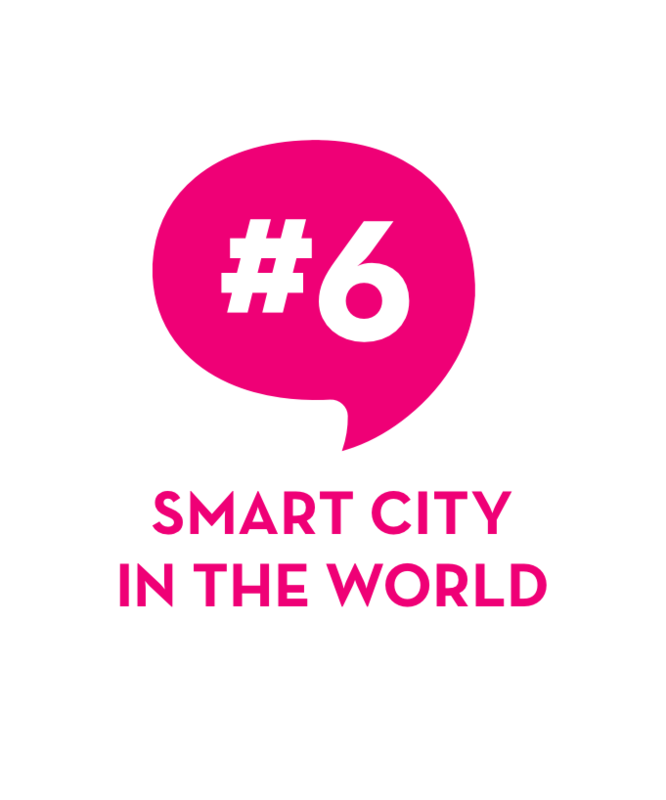 As one of the most connected cities in the globe, DC is a leader in resilience, smart cities, and data infrastructure. Amazon and DC could work in partnership to advance these initiatives to make them even more impactful. Since the world meets in DC, the region features three major airports that serve as transportation hubs for both domestic and international flights. Washington Dulles International Airport (IAD), Ronald Reagan National Airport (DCA), and Baltimore/Washington International Thurgood Marshall Airport (BWI) are a short ride by car or public transit. Union Station is a bustling portal to train destinations along the East Coast and around the country. DC area airports also serve as international hubs with 88 daily international flights to 59 unique international locations on nonstop or one-stop same-plane flights..
DC is only a short train or bus ride away from numerous major cities along the East Coast. Every day from Union Station, up to 38 trains leave for New York City and Philadelphia, and 18 trains to Boston. The Acela Express, the fastest train in the Western Hemisphere, transports passengers from DC to New York in two hours and 46 minutes, to Philadelphia in one hour and 30 minutes, and DC to Boston in six hours and 40 minutes, with wifi all the way. Major bus lines service frequent routes from DC to the north, south, and west. There is already a groundswell of investment in connecting DC with the long-range transit technology of the future. Acela, the high-speed train currently operating along the northeast corridor – allowing travelers to get from New York to DC in less than three hours – will get almost two and a half billion dollars in upgrades in 2021. Its new trains will be 20% faster and the investment will include upgrades to Union Station. The superconducting Maglev train proposed between Baltimore and DC, which has environmental impact studies already underway, would be the fastest train in the world completing the entire journey in an astonishing 15 minutes. With Maglev, Amazon HQ2 employees living 40 miles away in Baltimore could enjoy shorter commutes to work than those who take a 20-minute bike ride through the neighborhood. DC is uniquely situated to experiment in real world conditions and unify policy on Autonomous Vehicles. The presence of the National Highway Transit Safety Administration, Federal Highway Administration, USDOT, in and around DC is uniquely advantageous when coupled with nearby university technical and policy researchers in robotics, drones, self-driving cars and trucks. A city of walkers, one in eight of DC’s residents walk to work, while the majority take one or more walking trips a day. More than 880 miles of District streets have sidewalks on both sides, 150 miles of DC streets have sidewalks on one side, and the District has more than 150 miles of recreational paths and trails. With the second highest proportion of bicycle and walking commuters of any large US city, Washington, DC was the first jurisdiction in the country to launch a bike-sharing program. For more than a decade, the District has been building a citywide network of on-street bicycle lanes, signed routes, and other bicycle facilities. In that time, commuter trips by bicycle have quadrupled. Currently the District boasts over 150 miles of bike lanes and paths, three miles of cycle tracks, and 10 miles of multi-use tracks. The District has also installed more than 3,000 bike racks in support of the many bike sharing options. Capital Bikeshare has 3,700 bikes and 440 stations, the most stations per capita of any major US city. New dockless bike sharing companies such as Mobike, LimeBike, and Spin are now piloting their technologies in DC. Metrobus provides safe, clean, and reliable transit service for more than 600,000 customers a day throughout the Washington, DC area. The system is the second busiest in the United States, serving 91 stations in Virginia, Maryland, and the District of Columbia. The Metrorail system has six color-coded rail lines: Red, Orange, Silver, Blue, Yellow, and Green. The layout of the system makes it possible to travel between any two stations with no more than a single transfer. Sustainable buildings, protection of natural resources, and accessibility to alternative transportation including more than 150 miles of bike lanes and paths, are the forefront of Washington, DC’s dedication to building an environmentally conscious city. 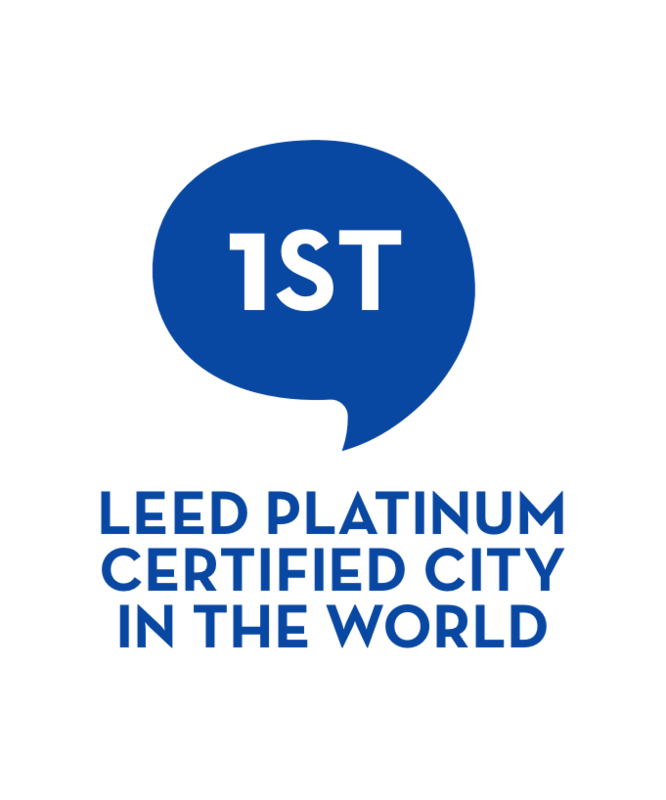 Setting the stage for a future of all new net-zero energy buildings, DC has the most ENERGY STAR certified buildings, a record 790 in the metro area, and became the world’s first LEED platinum city in 2017. 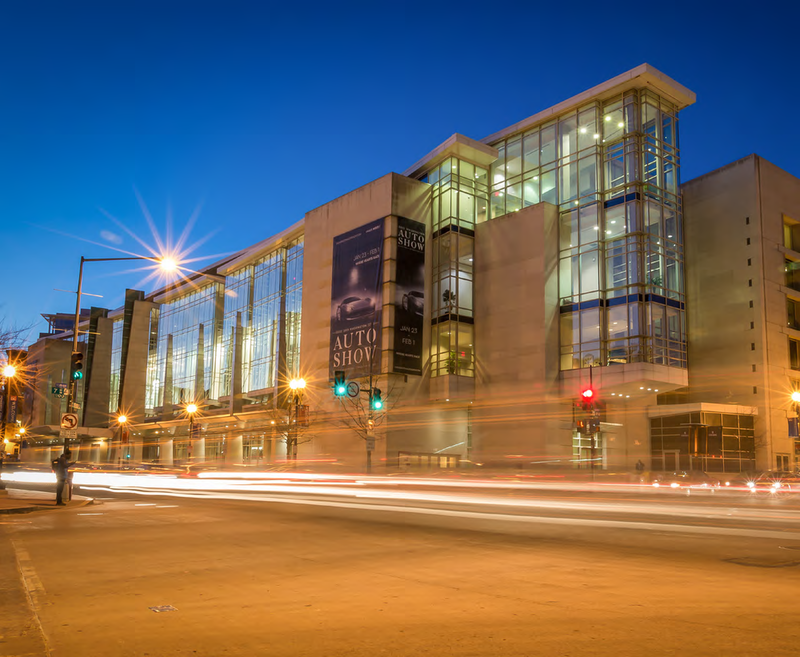 The city’s first commercial net-zero energy building, the American Geophysical Union headquarters, uses rooftop solar panels and a wastewater heat exchange system to generate sufficient energy for the building. More than 3 million square feet of green roofs in the city coupled with the largest wind-power purchase agreement of its kind for a US city will provide more than one-third of the total electricity the local government uses for the next 20 years. The District is launching innovative policies and programs to protect and restore waterways, better manage storm water runoff, and reduce potable water consumption. In 2010, a 5-cent bag tax on plastic or paper bags at grocery stores was instituted to fund the Anacostia River Cleanup and Protection Fund, which contributes to making the Anacostia fishable and swimmable. The city recently recorded the sale of its 100,000th storm water retention credit, a program that incentivizes private investment in storm water management. This program received the 2016 Innovation Award from the Environmental Council of the States. To date, DC has managed storm water runoff from over 50 million square feet of land. The DC government has prioritized food waste drop-off locations in all 8 Wards, where waste is converted to compost. Over the past year, District leaders seized on an opportunity to grow clean energy production, create local jobs and serve its neighborhoods disproportionately impacted by their utility bills by launching the first-of-its-kind solar jobs training program, Solar Works DC. This is a prime example of Washington, DC's commitment to leading the international community in urban sustainability, economic development and social justice. Through green workforce development programs, the District is building stronger and more sustainable neighborhoods while also preparing residents for 21st century jobs. Through Solar Works DC, the Green Zone Environmental Program, and River Corps, the District creates a pipeline to employment and supplies employers with a qualified, well-trained workforce. Since Mayor Bowser took office, more than 1,000 young people have participated in the District’s programs and landed jobs in the fields of energy and environment as a direct result. DC is a leader in creative financing tools for green outcomes. DC PACE allows property owners to repay the cost of energy efficiency, water, and renewable energy improvements over time through a special assessment placed on the property. In June of 2017 a $25 million PACE deal - the largest single note in history – was signed to help finance the installation of state-of-the-art energy and water efficiency measures, an 884 KW solar array, and storm water retention systems at DC United’s 20,000-seat Audi Field soccer stadium. In the same year, Mayor Bowser introduced legislation to make DC the first city in the United States to establish a Green Bank. The DC Green Bank will pair private capital with public investment to more efficiently achieve the city’s ambitious greenhouse gas emissions reduction targets and further reduce reliance on fossil fuels. Our mission includes not only brewing delicious craft beer but being an environmental steward as well. We employ a solar panel array to provide electricity, package beer in 100% recyclable cans, recapture water from our processes for reuse, and donate spent grain to local farmers for use as compost and animal feed. People in DC are conscious of the products they buy and the business practices of the companies behind them. DC operates one of the most advanced government owned and managed networks in the nation. The expansive fiber footprint spans the entire city, including 650 city-owned or leased buildings, with a one-of-a-kind 100 gigabit-per-second optical backbone equating to almost 10 terabits-per-second of aggregate capacity. OCTO continues to expand its capacity and fiber reach by connecting major telecom carrier hotels and service providers, and providing connection to federal agencies, non-profit healthcare/educational anchor institutions, convention centers, sports arenas, universities, and the National Capital Region (NCR) network. With data center infrastructure presence in Equinix and CoreSite campuses in Virginia and DC, the District continues to establish network exchange points with many national and international commercial and government service providers. The Ashburn Equinix data center provides DC government with an Amazon Web Service Direct Connect. DC plans to expand its current network capacity and establish additional Direct Connect exchange points via CoreSite’s DC facilities. DC’s interconnectivity provides developers and innovators access to many local and regional research institutions, consortiums, and platforms including Internet2, CAAREN (Capital Area Advanced Research Education Network), GENI (Global Environment for Network Innovation), and MAVRIC (Mixed/Augmented/Virtual Reality Innovation Center) to easily facilitate direct connectivity to AWS. The Equinix data center, CoreSite facilities, and existing AWS facilities present an unparalleled opportunity to create an interconnected and sustainability rich campus for Amazon. 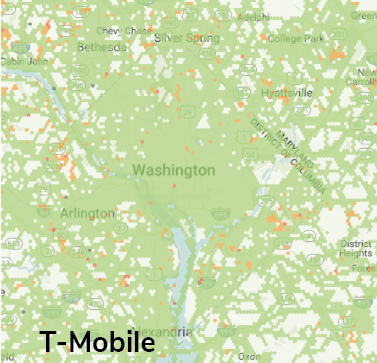 Cellular coverage by the four major providers, Verizon, AT&T, Sprint, and T-Mobile, have close to ubiquitous outdoor coverage in the District and indoor coverage in the areas of interest. The District works with all cellular carriers to facilitate and manage neutral host Distributed Antenna System (DAS) solutions to improve in-building wireless coverages in government buildings along with facilities of interest. The District can implement neutral host DAS solution if required to meet any gaps that may exist for in building cellular coverage. DC is a leader in mobility and smart city innovation. “Our approach with these innovations is to have a dialogue and figure out how to support them, instead of saying, ‘You don’t fit so you can’t operate,’” says Sam Zimbabwe, associate director of policy, planning and sustainability administration at the DC Department of Transportation. The DC government is a leader in thinking through autonomous vehicle policy and implementation, a perfect fit for the autonomous vehicles and robotics that are critical to Amazon’s long-term success. DC already has favorable conditions for autonomous vehicles. For example, it was the first city to deploy Starship Technologies delivery robots for food and medication in partnerships with DC Government and Johns Hopkins Sibley Memorial Hospital, respectively. Additionally, the District of Columbia joined the Bloomberg-Aspen Autonomous Vehicle Initiative in 2016 to advance its innovation in this space. The Stimson Center in DC is already doing policy research on drones from a national security perspective, but there is currently no definitive hub of analysis for commercial-purpose drones. Autonomous vehicles are an area where a university-based center funded or overseen by Amazon could unify policy and technical experts to accelerate the market by concentrating on infrastructure changes, insurance issues, and transportation laws. The presence of NHTSA, FHWA, FMCSA, and others are uniquely advantageous when coupled with university technical and policy researchers in robotics, drones, self-driving cars, and trucks. The University of Maryland and Virginia Tech have particular strengths in robotics, AI, and engineering.